Having scored four consecutive Top Ten albums in the previous two years, Grand Funk Railroad may not have seemed to casual observers like a band who needed to rise phoenix-like from the ashes, but the title of the band's seventh album referred to its re-emergence after a litigious split from manager/producer Terry Knight. Now, they were producing themselves, and they added organist Craig Frost, credited here as a sideman, though he went on to join the band formally. The biggest change, however, was a musical maturity. After releasing five studio albums in a little over two years, Grand Funk waited more than a year before releasing Phoenix, and in that time they managed to come up with more variety than they had displayed before. "Someone," for example, was a surprisingly gentle ballad, and "Rain Keeps Fallin'" was stronger melodically than most of songwriter Mark Farner's previous efforts. 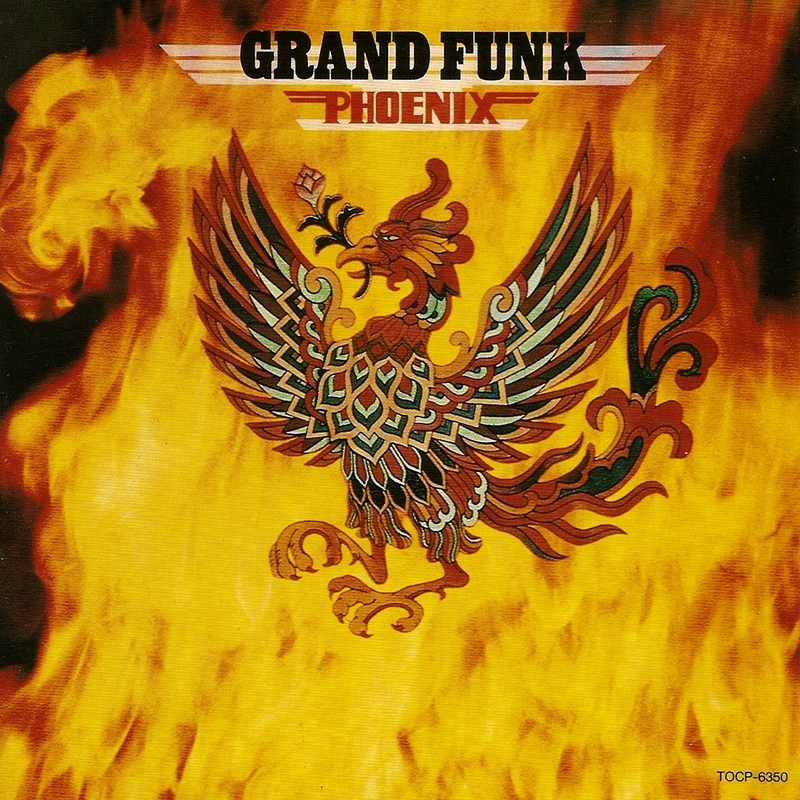 Unlike earlier albums, Phoenix didn't seem like one rudimentary rocker after another, which made it Grand Funk's most listenable album so far. And that's not to say it didn't rock, as the leadoff instrumental, "Flight of the Phoenix," and the Top 40 hit that closed the set, "Rock 'n Roll Soul," demonstrated. Unfortunately, Farner's lyrical abilities had not increased, while his self-importance had. "I Just Gotta Know," "So You Won't Have to Die," and "Freedom Is for Children" all contained political exhortations expressed in simple-minded terms, the worst being "So You Won't Have to Die," in which Farner, later to become a Christian artist, claimed Jesus had spoken to him on the subject of overpopulation. After such cringe-inducing foolishness, the band's return to rocking with "Rock 'n Roll Soul" could only be welcomed.